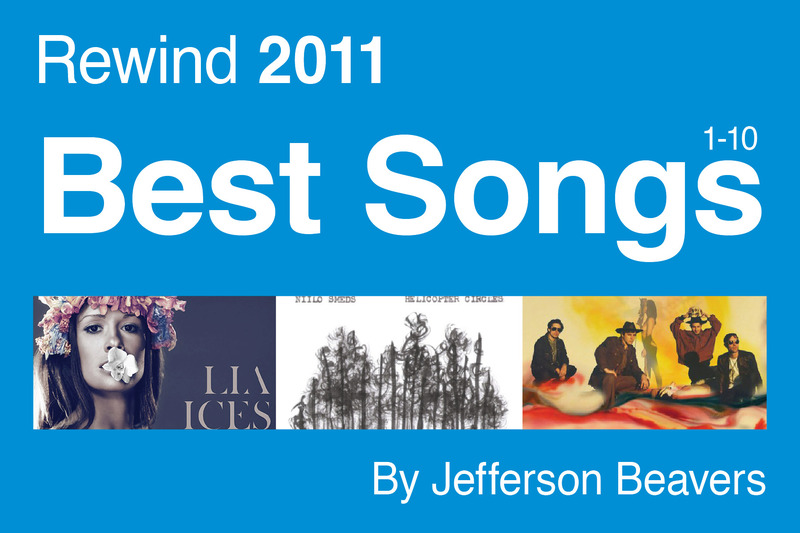 Here is my Top 10 songs of 2011 list, complete with fun links and videos to keep you well distracted. Click here to see the second part of the list, songs 11-20. This was a terrific year for indie music, and I know that I didn’t even come close to hearing all of the extraordinary stuff out there. Hopefully, you’ll find something new and interesting to you in my best-of lists. Niilo Smeds helps me understand myself. There is no one writing songs in the Central Valley right now who speaks to the bittersweet melancholia of this time and place better. Plus, his beard is absolutely beautiful. I have been crushing on Merrill Garbus all year long. She can do no wrong. The band’s 4AD Sessions performance from 2009 is equally inspiring as anything on their new record. I wanted very badly to love the new Black Keys album, but so far I just like it. However, there is no doubt that the single is pure gold, especially the video. Annie Clark dazzles me in every way. I love her guitar playing and her style, but most of all I love her songwriting. It’s like literary short fiction, set to indie rock. This Costa Mesa noise pop duo makes me want to shimmy shake all over the Golden State. I’m also struck by the sweet heartbeat at the center of their songs. I’ve always had a thing for art-school girls who make ethereal, complicated art-school pop. Lia Ices amps up the complexity while still keeping all the soft-focus beauty. The smooth-like-silk album cover for the Charles Bradley record always makes me giggle, but his songs are an old-timey, soulful inspiration. When they’re not trying to upstage the Beastie Boys for best cop video ever made, these garage rock troublemakers make some great drunken sing-along music. There is some downright dirty stomp in this track by Black Joe Lewis, perhaps enough to distract from the band’s failed attempts to get their hams glazed. The new Fay Wrays record had me from hello. The cover art was amazing, and I loved the expanded dossier and treatise explaining “the SOUND” that came with the limited-edition initial release. I couldn’t stop coming back to it.